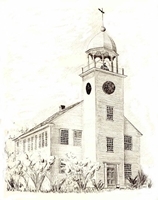 The Meetinghouse Readings feature fiction, nonfiction and poetry read aloud by authors in the 1793 Meetinghouse in Canaan’s historic district. Over the years, the series has presented scores of authors, from great names — including Alice Munro, Grace Paley, Donald Hall and Charles Simic — to emerging talents such as Dave King and Jeffrey Lent. Offered in the spirit of barnstorming tours by Dickens and Twain, the Meetinghouse Readings promote reading as the best possible entertainment. There’s no academic solemnity, and there are no Q&A sessions. The readings usually attract crowds of 100 to 150 or more. The schedule is always rich with fascinating (and often politically charged) nonfiction, exciting poetry and mesmerizing storytelling. Admission is free, authors’ books are on sale, and the home-baked refreshments are unpretentiously magnificent. For more information, visit meetinghouse.us, see the schedule below, or write to us at meetinghousereadings at gmail. Sponsors include James Laffan, Esq., Caldwell Estate Planning, Wachovia Securities and Mascoma Savings Bank!!! ALL READINGS BEGIN AT 7:30 P.M.. Please, No Infants, Toddlers or Squirmers! Thanks to the installation of a ramp by the Town of Canaan, the Meetinghouse is now ADA accessible.